The Greek team inked an experienced center, Vassilis Kavvadas until the end of the season. 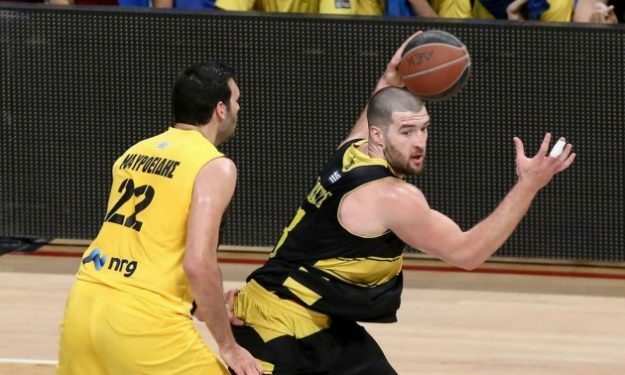 AEK BC officially announced that Greek center Vassilis Kavvadas signed a contract with the team for the remainder of the season. The deal includes an extension option for 2018-2019. Kavvadas, 29, returns to the Basketball Champions League where he averaged 7.9 points and 3.2 rebounds per game last season with Aris Thessaloniki. Overall he averaged 9 points and 3.8 rebounds per game last season with the Greek club. Meanwhile, the club also announced that Giorgos Tsalmpouris will continue the season on loan to Kolossos BC.